Urethane Rods – Custom Molded Urethane Rods! Urethane Rods? You’ve come to the right source! 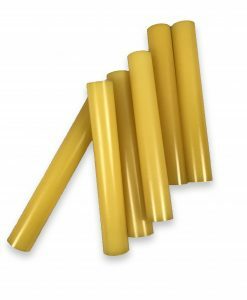 Urethane Round Rods: Urethane round rods are a custom product Plan Tech produces and we offer a full line of in-house molds ready to cast precision urethane round rods. By offering a full in-house machine shop we can also tailor the urethane rods to your exact specifications for the applications. Urethane Cylinders: Urethane cylinders are found in many applications requiring repeated abuse and impact. Urethane cylinders will dampen the harsh slamming of a machine and frequently perform better than OEM replacements at a fraction of the cost. Our custom urethane cylinders are made easily with a sheet metal ring yielding little to no tooling cost. FDA Approved Polyurethane Rods: FDA approved polyurethane rods are custom cast from Plan Tech in many different OD sizes and lengths. Our most common specification for FDA approved polyurethane rods are for conveyor systems that use the FDA approved urethane rods to help guide product much like a bumper for sorting. Plan Tech can produce any size rod up to 8’’ diameter with shrink including for up to 12’’ rods. We also have a 3 and 4-foot rod system for open tolerance applications. Plan Tech blends all of its polyurethane material for any hardness or physical properties needed. Polyurethane material used for rods performs very well against most chemicals and solvents found in industrial applications. We have found many of our customers use low rebound rods for use as springs inside machinery. Plan Tech can cut or profile any of the rods with a tolerance of +/-.010 for most hardness and any custom color is available. After the rods are post-cured we also offer a full line of secondary operations available or any hardness. Most commonly we have found our customers have a tight tolerance on the length of the rods. We also have a custom chop saw to hold tight tolerances for high volume rod applications. FDA requirements are also available with a variety of additives that can also be added to increase lubricity or anti-static applications. For your next project or to replace an existing part Plan Tech can help you solve unique industrial rods applications. Plan Tech also has an outstanding team of dedicated employees with exceptional talents designing and manufacturing cast molded rods and custom urethane parts. We also are very proud of the “company we keep.” Our customers include many Fortune 500 companies, most of whom have been customers for 20+ years. Their drive to become industry leaders has helped us do the same. Whether you are a start-up company or global leader, we can add value to your products with our strong engineering support, polyurethane polymer experience and constant focus on meeting all delivery requirements. Our rapid prototyping capabilities have also received particularly positive feedback – we frequently go from “Print to Part” in 10-15 business days! Everything we manufacture is MADE IN THE USA! Please Contact us so we can discuss your Urethane Rods application!